The Print and Digital Culture Series at the University of Wisconsin Press. For well over one hundred years, libraries open to the public have played a crucial part in fostering in Americans the skills and habits of reading and writing, by routinely providing access to standard forms of print: informational genres such as newspapers, pamphlets, textbooks, and other reference books, and literary genres including poetry, plays, and novels. Public libraries continue to have an extraordinary impact; in the early twenty-first century, the American Library Association reports that there are more public library branches than McDonald’s restaurants in the United States. Much has been written about libraries from professional and managerial points of view, but less so from the perspectives of those most intimately involved—patrons and librarians. Drawing on circulation records, patron reviews, and other archived materials, Libraries and the Reading Public in Twentieth-Century America underscores the evolving roles that libraries have played in the lives of American readers. 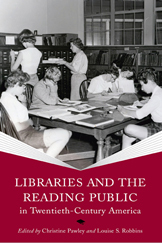 Each essay in this collection examines a historical circumstance related to reading in libraries. 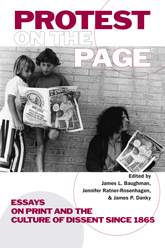 The essays are organized in sections on methods of researching the history of reading in libraries; immigrants and localities; censorship issues; and the role of libraries in providing access to alternative, non-mainstream publications. The volume shows public libraries as living spaces where individuals and groups with diverse backgrounds, needs, and desires encountered and used a great variety of texts, images, and other media throughout the twentieth century. 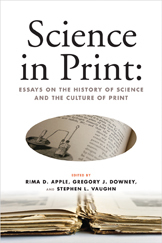 Review of Science in Print from the Fall 2012 issue of Wisconsin People and Ideas.